In The Loyalist Team, the authors introduce their field-tested Loyalist Team 3D assessment that allows anyone to get to the heart of why teams break down, identify the weaknesses in their own team, and build a Loyalist Team. This kind of team has members who ensure each other's success as they work to ensure their own, operate with absolute candor, and value loyalty and authenticity to deliver results, create a healthy work environment, and help companies succeed. When Tim, a Wall Street veteran, took over the Los Angeles office of a large financial services firm, he first attempted to learn about his new team in a team meeting. No one answered his questions, until the acting managing director (the leader of the team for six months until Tim came on board) offered that everything was going great. It wasn’t. As team consultants Linda Adams, Abby Curnow-Chavez, Audrey Epstein and Rebecca Teasdale describe in their book, The Loyalist Team: How Trust, Candor and Authenticity Create Great Organizations, the acting managing director, Matt, was in fact what the authors call a “saboteur.” Saboteurs, who are not always the leaders of the team, create fear and distrust, causing team members to go into “self-preservation mode,” the authors write. People on what the authors call “Saboteur Teams” will “focus on playing defense and keeping their jobs instead of making forward progress,” they write. 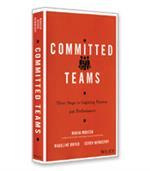 The result: team goals are not met, company goals are not met and employees wonder how long they can last. In the book, readers are invited to use a detailed Loyalist Team Checklist, which includes statements about team motives, team mindsets and team behaviors, to diagnose their own teams. The statements are in columns reflecting the four types of teams. The team-type column with the most checkmarks (indicating that the statement is true) is the team type that corresponds to your team. 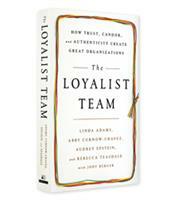 The long fact-based case studies and the list of how-tos make the four-type framework in The Loyalist Team: How Trust, Candor, and Authenticity Create Great Organizations an effective tool for recognizing and resolving tenacious team issues.